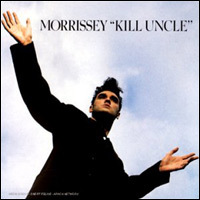 Morrissey is known mostly for his biting sense of humor, general bitchiness and a melodramatic morose streak a mile wide. He wants you to laugh while he’s crying. But every once in awhile, in both his work with The Smiths and on his solo albums, Morrissey can knock you out with something deeply heartfelt. One fine example is The Smiths’ ‘Please Please Please Let Me Get What I Want’ (a John Hughes staple), which owes much of its poignancy to Johnny Marr’s delicate guitar work.